A natural liquid soap in a reusable bottle which is also refillable. This spray bottle is PET and is intended as a bottle for life - to be reused and refilled with the glass bottle refills. A natural Liquid Soap in a reusable bottle which is also refillable. This bottle is PET and is intended as a bottle for life - to be reused and refilled with the glass bottle refills. 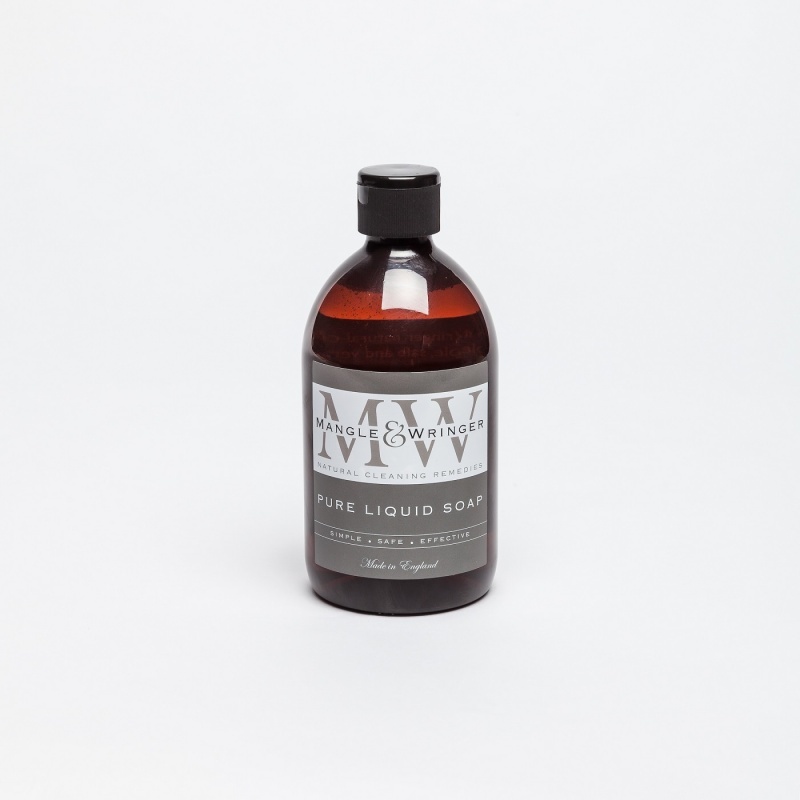 Pure Liquid Soap is a gentle castile soap made using organic coconut oil and sunflower oil. It can be used for cleaning just about anything. From floors and worktops to the chemical residue from fruit and vegetables and everything in between. It is great on a sponge for cleaning hard surfaces or diluted in water for removing stains from fabrics and carpets. Suitable for mopping all types of flooring – ceramic or porcelain tiles, wood flooring, vinyl, marble, granite, stone and especially good for all laminate floors. It is safe and gentle for even the most sensitive skin. IngredientsAqua, Organic Coconut and Sunflower Oil Soap, Glycerine, Potassium Chloride, Potassium Citrate.